Colour/Symbol: 1 1.4 G - Black on orange - UN (United Nations) Hazard Warning Diamond. Technical Specification: Manufactured from high-quality synthetic material with a UV resistant varnish. Each label is supplied on a paper backing for easy removal. 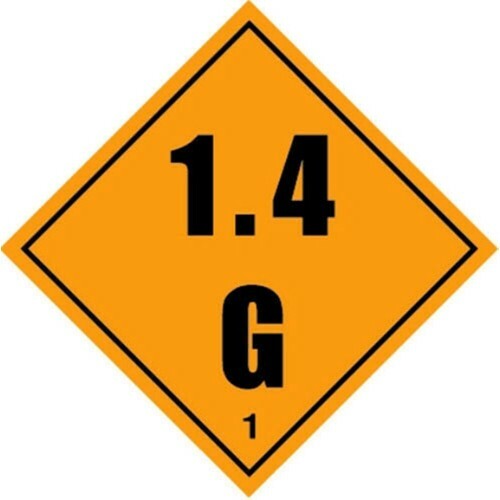 Please note these are not as thick and durable as our Campbell Premium laminated, perforated PVC hazard labels. Dimensions: 100 x 100mm each label.